It’s a nice way to start the day. 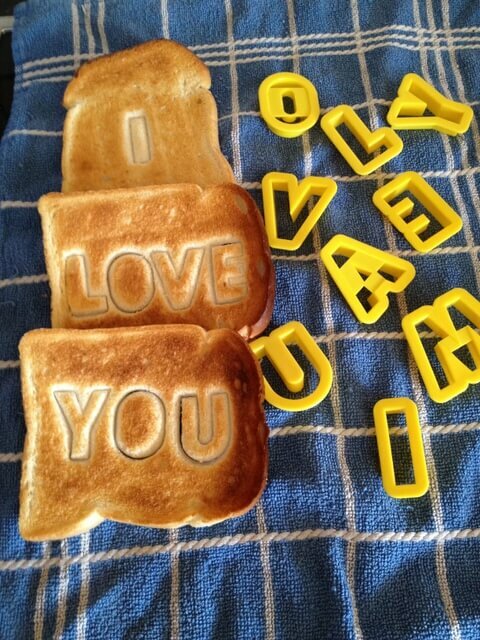 Messages in Toast. It’s very simply done, all you need is cookie cutters and shop bought bread works best. Impress the cutters of your choice into the bread before toasting but don’t cut the whole way through. Then toast as normal, either in a toaster or under the grill. Maybe try playing around with words, or pictures. Send a message to your picky eater such as “eat me” or an instruction to somebody to put “jam” on your toast. Enjoy!